Rockbar’s “In The Round” with Host Haley Grigaitis! 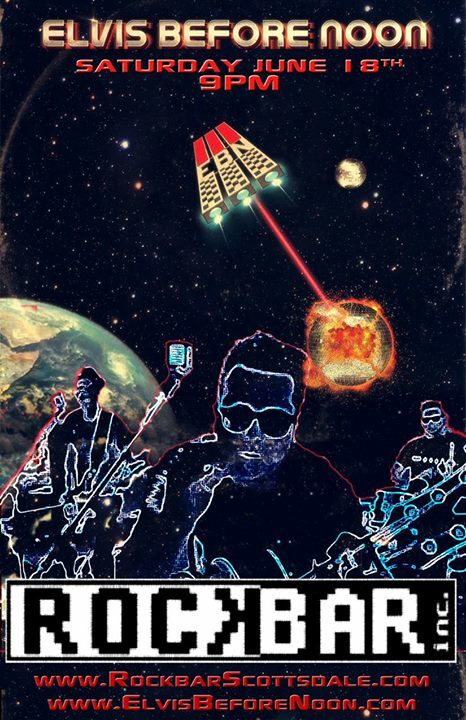 NO Cover, music starts at 9pm! Elvis Before Noon live at Rockbar Scottsdale! Lee Perreira Full Band – Kyle Phelan Acoustic Opening Set ! 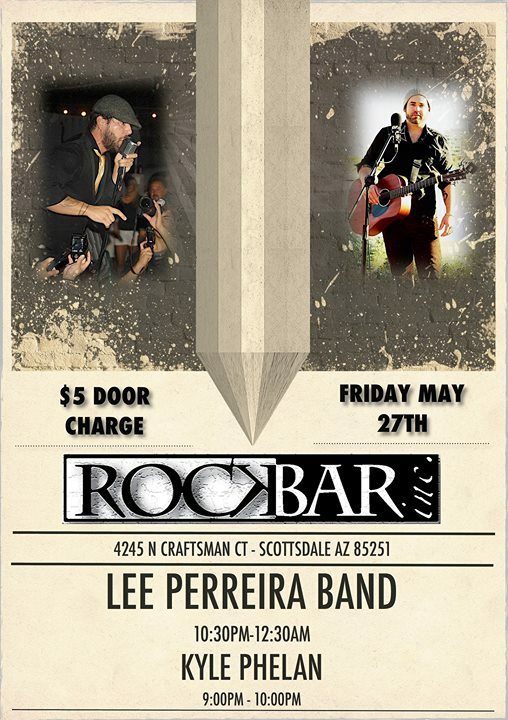 Lee Perreira and his “Blues Infused Rock n’ Roll” will be at Rockbar inc. again on Friday May 27th with his FULL BAND – Miguel Melgoza on Drums, Adrian Michaels on Bass and Jayson Johnson on Lead Guitar! They will be playing 2 sets from 10:30pm-12:30am. Kyle Phelan will be opening up the night with an acoustic set from 9pm-10pm. $5 Door Charge – Doors open at 8pm – See YOU There ! !